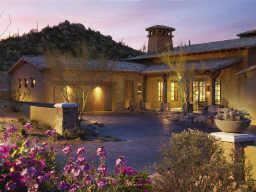 The Rocks Club at Pinnacle Peak is a private, gated community of 40 luxuriously furnished three and four-bedroom Villas and an elegant clubhouse, all of which are managed for the owners by Troon Golf. Located on approx. 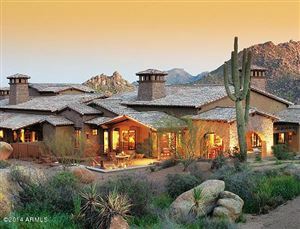 22 acres of breaktaking high Sonoran Desert with views of Pinnacle Peak, Troon Mountain, Four Peaks, and the McDowell Mountains. Ten of the forty 40 Villas have been sold fractionally in 1/7th shares. A handful of 1/7th shares are still available and each member purchases an undivided 1/7th share of a Rocks three or four-bedroom Villa. Your HOA fee basically covers all your expenses of owning a second home. The ownership concept makes a lot of sense for a great many people who recognize the all the benefits of owning a vacation home of the highest quality, with zero hassles. See all The Rocks Club at Pinnacle Peak.